Especially due to Black Panther’s overwhelming success, it looks like we’ll see an uptick in prominent female characters in the MCU, making us one step closer to the all-female Marvel movie fans have been clamoring for. In an interview published Friday by Vulture, Marvel Studios President Kevin Feige spoke about the future of Marvel’s female characters from Tessa Thompson’s fan-favorite Valkyrie to Michelle Pfeiffer’s Janet Van Dyne in the upcoming Ant-Man and the Wasp. Chadwick Boseman’s T’Challa might be the heroic Black Panther at the focus of the movie, but he’s only able to succeed and thrive with all of the support he receives from the badass women around him. They have his back. 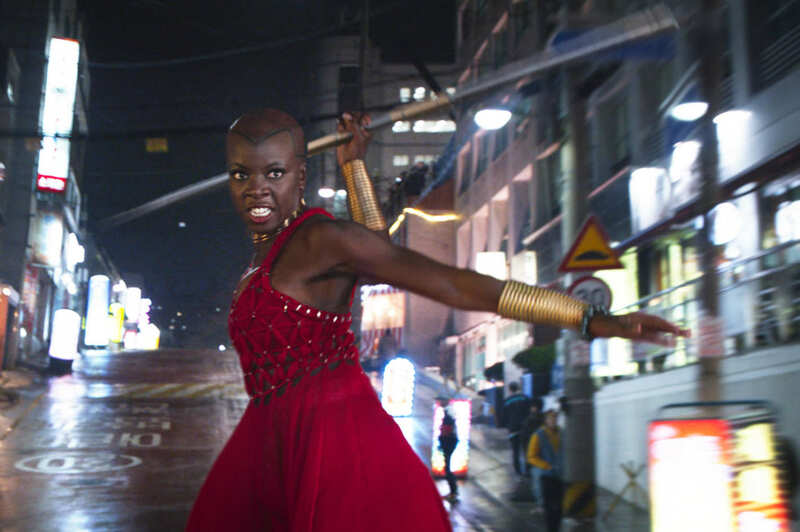 Danai Gurira as Okoye in 'Black Panther'. When asked about when we might see more female-focused Marvel films, Feige offered up a predictably cryptic response: “It is all about figuring out when and how.” Which sounds like it’s only a matter of time. This echoes what Tessa Thompson said earlier this week when she noted that Marvel has “interest” in spotlighting female characters in upcoming films. Feige also said, “All of them will be seen again.” Keep in mind that almost all of Marvel’s female heroes will appear in Infinity War, which could be what he’s referring to. After Infinity War, Ant-Man and the Wasp will focus on both Evangeline Lilly’s Wasp and Michelle Pfeiffer’s Janet Van Dyne. Then, of course, there’s Captain Marvel due out after that. T'Challa's only as successful as his best allies. In many ways, Black Panther has ushered in a new era of the Marvel Cinematic Universe with some much-needed diversity in its lineup of heroes and movies.